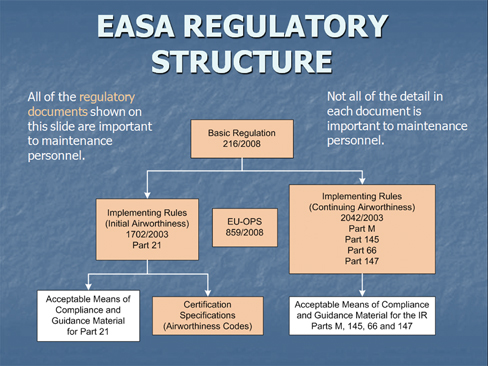 EASA 66 Module 10 covers Aviation Legislation, Regulatory Framework, Certifications, and National and International Requirements. Relationship with other Aviation Authorities. Documents to be Carried; Aircraft Placard (Markings). Radio Station License and Approval. All Weather Operations, Category 2/3 operations and minimum equipment requirements.